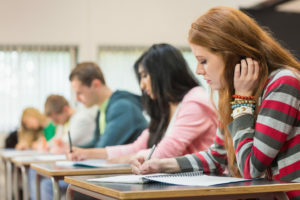 Try to imagine this: you are taking your first SAT, and your eyes have settled into the ambient irritation common to those who haven’t slept enough. 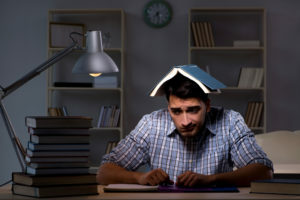 As you progress through the reading passages, many of which you’re struggling to understand because your brain is vibrating from your very first 5 Hour Energy, your head inadvertently droops as if to send you back into the comforting embrace of sleep. As soon as you feel your body settling into this inappropriate nap, you jerk upright, scooting your desk back half a foot and frightening your skittish proctor. Whoops! You slap yourself in the face once, hoping the pain will summon your attentiveness, but all it does is hurt. You need to follow a sensible routine before the test, preferably for a week! Your test will probably be at 8 AM, so to ensure that you can be comfortably awake, alert, and responsive during your test, go to bed at 10 PM for a week before your test. Once your test hits, you’ll be a relative pro at waking up refreshed at 6 AM. Do you drink coffee in the morning? If you do, then you should drink it before your test. Do you not drink coffee in the morning? If you don’t, then you should not drink it before your test. Do you have a friendship you are desperate to terminate so you can relish in all of the nuclear social media fallout? Wait until the test is over. Desperate to try out a new polyphasic sleep schedule? Wait until the test is over. Ultimately, you want to minimize the number of unexpected factors that might throw you off kilter. If you do this, you will be in a much better position to do well. In lieu of an entertaining anecdote, I’m just going to give you a checklist of things you need to have in order, followed by questions for which your answers should always be YES. 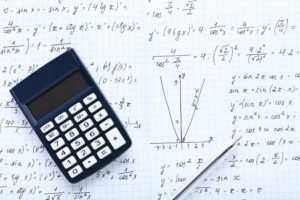 Calculator: Is your calculator on the approved list for the test you’re taking? IS IT CHARGED? Writing implements: Do you have two No. 2 pencils sharpened and ready to go? Did you remember that mechanical pencils are expressly forbidden for use on these tests? Do you have a functional eraser? Test Location: Do you know where it is? Does your driver know where it is? Identification: DO YOU KNOW WHERE YOUR ID IS? DO YOU HAVE YOUR ADMISSION TICKET? Have you ever felt like studying for a Precalc exam while you’re covered in rivulets of boiling sweat? How about while shivering so hard your teeth start clacking? If you are a regular human who wasn’t raised by a team of malevolent scientists, your answer will be NO. The AC might be cranked up in that test room, but it also might be fully off. I don’t know anything about the contents of your wardrobe, but you want to experience this test in the most comfortable way possible, and the only way you can do that is to prepare for the possibility that the room you’re in might be bitterly cold or uncomfortably warm. Try to experience this fact not as an omen of doom but rather as a reassuring, rhyming injunction to rest: you will not be massively changing your upcoming score in the 24 hours before the test. There is no single equation or grammatical rule that is worth sacrificing precious sleep for, so if you decide to study that day, make it a light review of the content you’ve previously studied. Spare yourself the stress of doing a new mock, running into material you may not have adequately revised, and then spending the next few hours in an anxious, acidic fog about how you’re fated to become your family’s most expensive failure. Go over the notes you’ve taken and review some of the mistakes that you’ve made on previous mocks. Don’t overstudy the night before the test. This is important for two reasons: first, breakfast-wise, you need to make sure that you have enough energy to tackle the marathon in front of you. 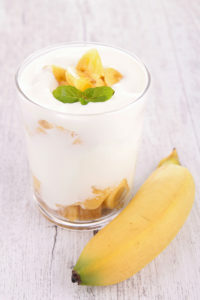 I’m not a huge breakfast guy, but I can share the concoction I downed before the SAT: a cup of yogurt, some muesli, a banana, and a glass of water. Rather boring, but it was enough to fuel me for four hours of furious testing. Also, it is same enough to satisfy the criteria that constitute the grosser second reason. You do not want to have any bathroom emergencies during the exam. Apart from the massive discomfort that these… “conditions” imply, you simply cannot afford to lose any of the time that is allotted to you during these tests. Having to endure a 5-minute bathroom break during the ACT Science section, for instance, would most certainly result in a lower score. With this in mind, try to avoid any risky, strange culinary adventures you have in mind. The discount sushi from Parasite Paradise can wait; your main task is to comfortably do your test.